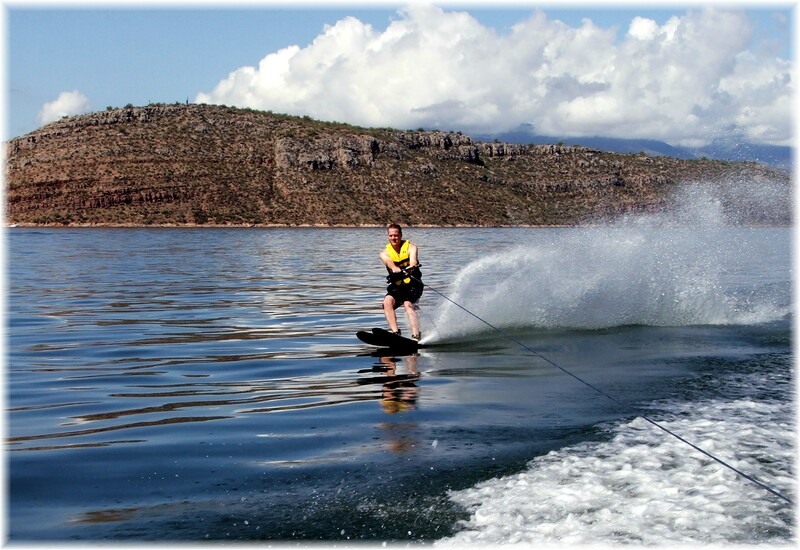 It has become almost a tradition that a good friend invites us to accompany his family to go boating at Roosevelt Lake, which is about 80 miles from Phoenix. There was very little wind and that made for some great waterskiing. Since it is his boat, he’s in the picture. The water temperature was fantastic. It was also fun just stopping, eating lunch in the boat, and letting everyone swim. Surprisingly, there were not a lot of boats or jet skis on the lake. 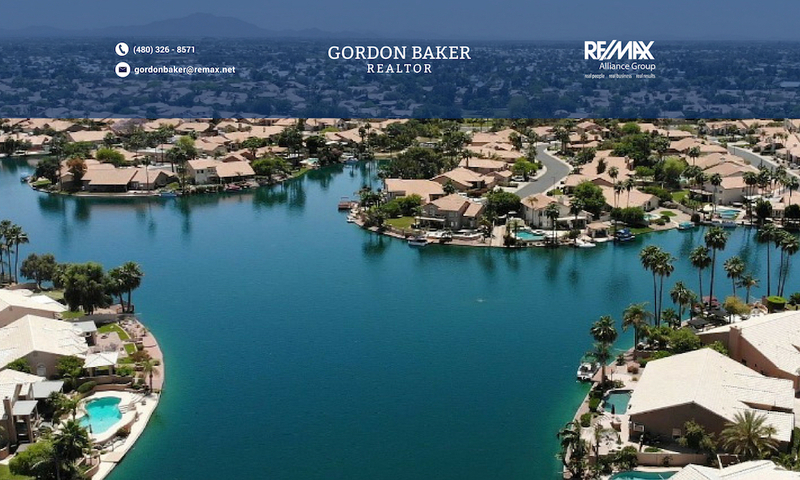 That may be because the proximity of other lakes such as Lake Pleasant, Saguaro and Canyon Lakes, or Bartlett Lake are considerably closer to Phoenix. It was worth the drive! Roosevelt Lake is the largest reservoir in Arizona, covering a water surface of over 21,000 acres with a length of 22 miles and 88 miles of shoreline. It was created in 1911 with the completion of the Roosevelt Dam which was the world’s tallest masonry dam at the time with a height of 280 feet. In 1996, the dam height was raised to 357 feet with improvement and modifications which increased the lake capacity by 20%. The lake was dedicated by President Theodore Roosevelt who arrived by driving along the Apache Trail. It was the first project under the Federal Reclamation Act. A great place to visit and spend time with friends and family. As a boating enthusiast and lover of all things about Arizona, this is a terrific post about the history of Roosevelt Lake. BTW – the photography in your blog is outstanding. Do you take all the photos? If so, what type of camera do you use? Because videos are so cool, do you think maybe next time you could also include a short video clip of the area? I’d love to see it! Thank you for the comment. I have taken all of the pictures that I’ve used so far in this blog, even the ones in the graphics. My 3 year old 4.0 megapixel Fuji camera has served me well. I can also take videos with it, and I promise to include a video in my next post. It will be of a resident in Crystal Point Estates waterskiing through the buoys of the slolom course.